Sunday night. Just as the sun drops below the horizon, the snowflakes fall again. Super. If those snowflakes keep falling in the morning, I’ll get some swank snowflakes for my photos. There’s snow on the ground … but no snowflakes in the air. I checked the Weather Channel online. Maybe there will be another snowstorm later this week or next. Maybe. Yeah, well I don’t operate on maybes. I look outside again. A few snow flurries, not much. Okay … a few is better than none. I take a piece of black velvet and put it outside so that the fabric will get nice and cold. Snowflakes melt on warm fabrics, don’tcha know. Meanwhile, I’m still adding extension tubes to my Nikon Df camera. I’ve got six on there right now. This is the extension tube equivalent of John C. Holmes right now. Okay, time to go outside. I’ve got the Russian HELIOS-81 50mm f/2 lens on the camera, with six extension tubes. And this shot was the best of the lot. Snowflake Helios. Nikon Df camera, Helios-81 lens with six extension tubes and ring flash. Photo (c) 2019 Chuck Miller, all rights reserved. But trying to hold this camera in my hands – with the six extension tubes – is like photographing with a table leg. And that macro attachment for my cell phone hasn’t arrived yet. Hey, Miller … did you forget something? Something like two years ago when you purchased a Chinese super-macro piece of glass called the Mitakon Zhongyi 20mm f/2 4.5x? Hell, dude, you blogged about it. And then what, you put it on a shelf and forgot all about it? Forget the John C. Holmes setup, Miller … go fetch the little pocket rocket and make something happen. And after a quick swapout of lenses … I now had the Mitakon on the chassis. 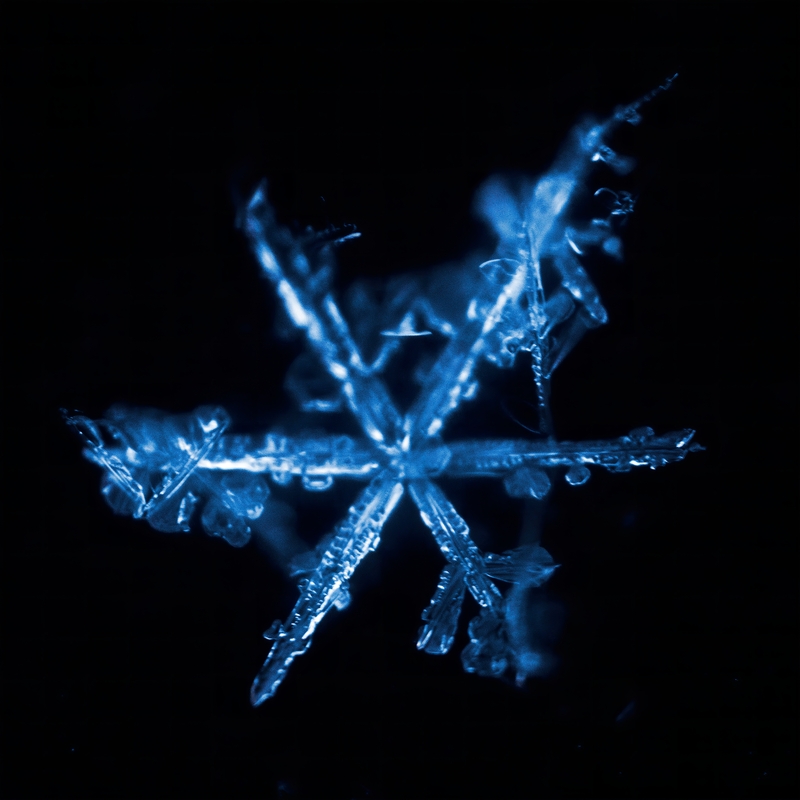 Snowflake Mitakon Zhongyi. Nikon Df camera, Mitakon Zhongyi 20mm f/2 4.5x macro lens. Photo (c) 2019 Chuck Miller, all rights reserved. Not only does the Mitakon Zhongyi get me super-up-close to the snowflakes, the Chinese lens achieves my goal of having a large-sized snowflake image that’s big enough to enter in competition! 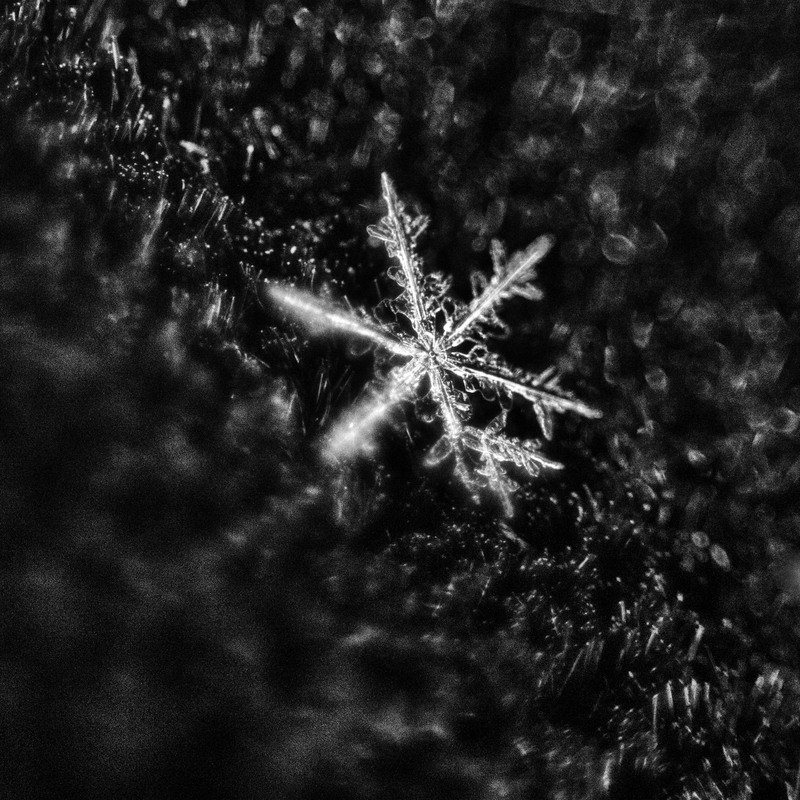 And look at all the detail in that snowflake … even with the mild snowstorm, I got this! I will continue to take snowflake photos as long as Mother Nature keeps making snowflakes. If a new photo is better than the old photo, the new photo becomes “King of the Mountain” – er, “King of the Snowbank” – and at the end of winter, I believe I will have the photo I need – whether it’s with a macro attachment to my BlackBerry KEYone, whether it’s with my Mitakon Zhongyi super-macro lens, or whether I use my six extension tubes and a Russian piece of glass. In other words … I’m much closer to my goal. And I’m ready to get even closer. Come on, Mother Nature, don’t fail me now. One more snowstorm … maybe two … is all I request.